That’s the news—but saying “NZXT makes motherboards now” is perhaps the greatest understatement of 2018. (Hey, we’re only ten days in so far.) 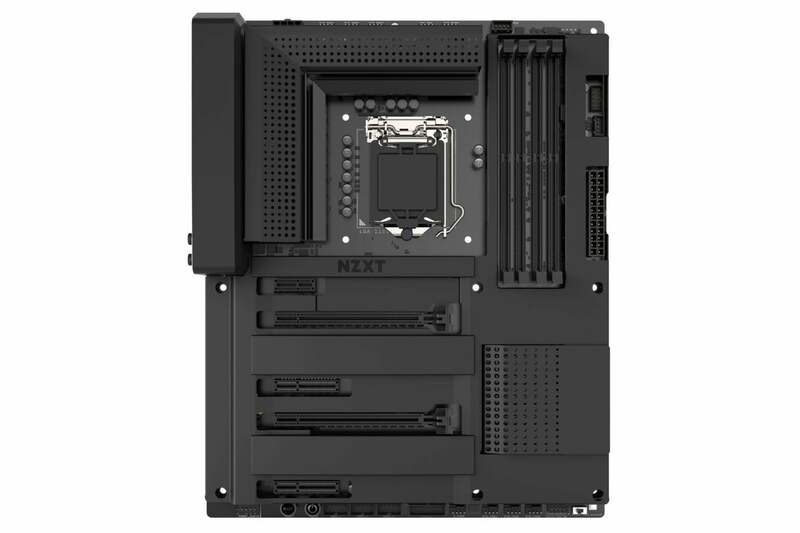 At CES this week, NZXT announced it’s done what’s almost impossible: Made a motherboard that looks good. 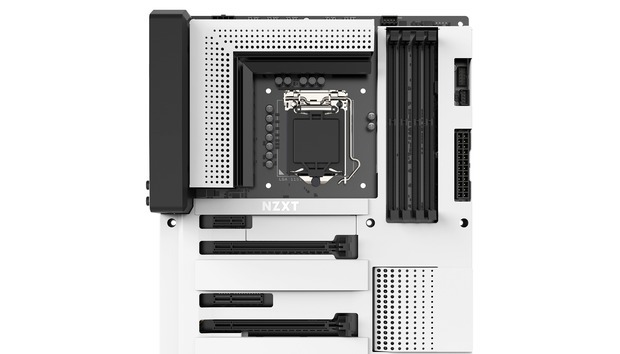 It’s the NZXT N7 Z730, and as I alluded to earlier it’s NZXT’s debut motherboard. It’s also stunning—so much so that I immediately tried to justify buying one after seeing it for the first time, and it doesn’t even work with my current processor. Everything except for the CPU, PCI-e slots, power and other various connections is covered in either matte white or matte black metal, and the result is a minimalist, almost monolithic motherboard unlike anything I’ve seen before. The N7 looks “finished” in a way most boards, with their exposed circuitry and odd gaps, just don’t. NZXT claims it’s functional, too. Quoting NZXT’s CEO Johnny Hou, “In the face of increasing complexity in the PC gaming market, we want to make building easier and more enjoyable, with the N7 as a cornerstone for this new experience.” It certainly looks less intimidating than your average motherboard, with all its exposed circuitry. A friend of mine, after seeing a picture, said he would’ve been “8000 percent less scared” of his first PC build if the motherboard had looked like this. Take from that what you will. Now, whether it’s a great motherboard, especially for the price? That’s debatable. The N7 certainly looks the part, and touts (semi-)painless RGB lighting and fan management through its well-regarded CAM software. On the other hand, it’s $300 and not doing much on a technical level that its competition doesn’t do—and in some respects doing less than Z370 boards $50 to $100 cheaper. The black-clad version looks fantastic too. I know most people won’t want to pay an extra $100 for a component they’ll barely see. Hell, most people aren’t even buying $300 motherboards—that’s well into enthusiast territory as it is. But there’s such a simplicity to the N7. I really can’t say it enough, this is the first mass-produced motherboard I think I’ve ever stopped and said “wow” about. Motherboards have gotten better looking in the last few years, but still mostly come in two variants: Bare-bones and “Gamer.” The former is the province of low-end hardware, naked boards with no decoration. The latter are still overly fond of exaggerated heatsinks and sharp angles, the same as it’s been for 15-odd years. If nothing else, I hope other companies look at the N7 and lift some ideas from it, the same way they’ve “borrowed” from NZXT’s case aesthetic in recent years. Speaking of which...have you seen NZXT’s H700i? Now that’s a beautiful case. « The latest Wi-Fi mesh router comes from... First Alert?